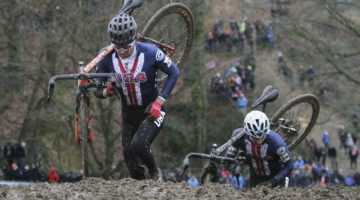 USA Cycling has announced those riders who will represent the United States January 30-31, 2016, in Heusden-Zolder, Belgium. Some of the names announced were automatic qualifiers before this past week’s National Championships in Asheville, North Carolina. Others, however, needed to show their mettle on course at the Biltmore Estate to make the team. Below are the racers that will represent the US at Worlds at the end of the month as well as our analysis of the selections. Analysis: Only Noble had an automatic bid with wins at both the Pan American and National Championships. The remaining five spots were all discretionary selections. The Arensman sisters are a strong selection for this new World Championship category. 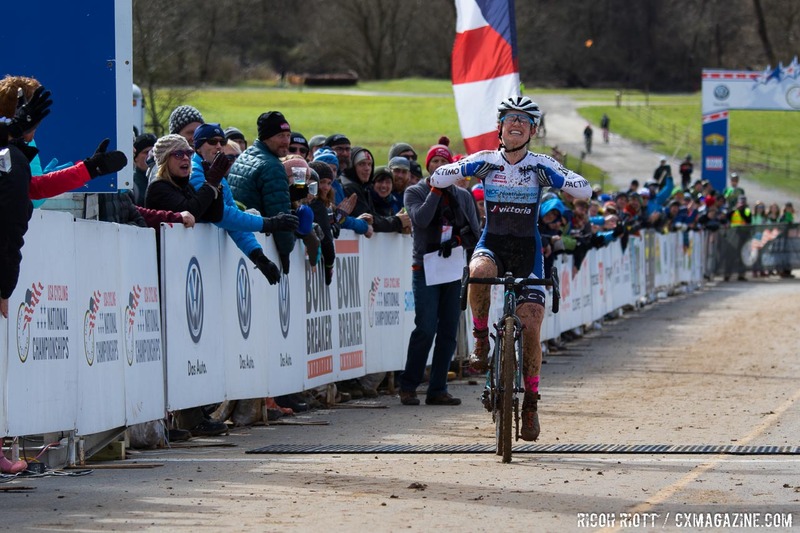 Hannah is the reigning National Junior Women’s 17-18 champion who, like Allison, was in the top 10 of the combined Women’s U23 field this past Sunday. Nineteen year old Swartz finished seventh just in front of the Arensman sisters in Asheville. Of course, Gomez Villafane rode from a last row call-up to the silver medal at Nationals after she won the Women’s Collegiate D1 race. And White has been Noble’s top competitor all season. Analysis: Hecht is the obvious name on the list. He was fourth at Worlds last year, missing the podium due to a mechanical. A third at Tabor last year would have meant automatic selection for 2016. But it was no matter. Hecht earned his automatic bid as a fully funded 2016 World team member with a fifth place finish at World Cup Zolder last month, which should prove as a confidence booster for Worlds 2016, not to mention his win in Asheville last week. Petrov was also an easy automatic. He was fourth in the World Cup at Namur earning a fully funded trip to Zolder, and is the reigning Pan-American Champion. 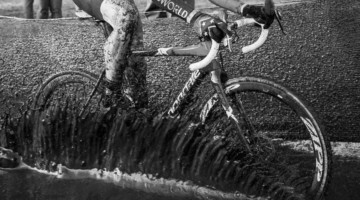 Both riders also earned their spots with top five rides as Diegem. The other automatic qualifier was Beard. His top 15 ride at Valkenburg got him onto the 2016 Team USA Junior Men’s World’s squad. That left three spots open. Brunner, Owens, and Stephenson are all USA Cycling Cyclocross Development Camp riders and Brunner and Stephenson both raced at Zolder in December. Experience matters when it comes to racing Worlds and these young men have it. Analysis: Dillman was on a tear in Asheville taking the Collegiate Men D1’s title, anchoring the winning Collegiate Relay D1 Marian team and was poised to podium or even win the U23 title when a mechanical forced him out of contention. Before Asheville, Dillman earned his World’s team selection taking the Pan American Championship title. Ortenblad of course did win the U23 title in Asheville and so earned his trip to Zolder. Owen earned his automatic bid with a top 10 finish at World Cup Koksijde. Curtis White was the other automatic qualifier. 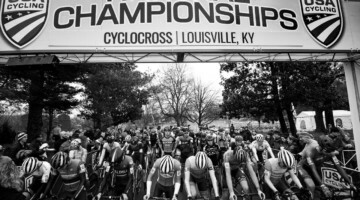 He earned his by riding in the top 15 at the two day KMC Cyclocross Festival, Kings CX and the two days at Derby City. The other two open spots were filled by Ellwood and Smith. 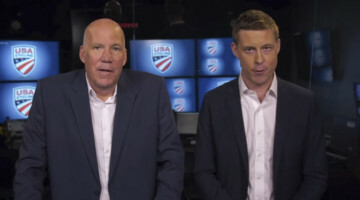 Both put in fantastic rides in Asheville, which had to have played a part in their making the team, evidencing an ability to enhance the World’s team’s medal capability. Analysis: In terms of open spots, there was but one, and it went to Anderson. While she hasn’t had the season she did in 2013, she’s experienced in European racing and is capable of a strong ride in Zolder on her day. Anthony went top 10 at Cross Vegas earning her spot automatically while Antonneau took second at World Cup Valkenburg and made the 2016 World’s team that way. 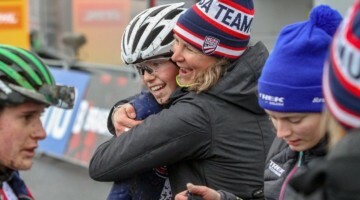 Compton earned her spot by winning the Pan American Championships, top 10 rides at Koksijde, Namur and Zolder, not to mention her 12th National Championship eaned this past Sunday. Like Anthony, Amanda Miller rode in the top 10 at Cross Vegas and was top 10 at World Cup Valkenburg. Finally, Meredith Miller too rode to a top 10 finish in Las Vegas. Analysis: The Elite Men’s team makes a big jump from just five riders in 2015 to seven in 2016. Driscoll makes the 2016 World’s team by being one of the top three UCI ranked American riders inside the top 50, the other two being Hyde and Powers. Powers of course also qualified based on his win at the Pan American Championships as well as the Elite Men’s National Championships on Sunday. Trebon was the other automatic qualifier who was 12th in the World Cup at Las Vegas. Krughoff, Livermon and Page round out the Men’s Elite team as discretionary picks. 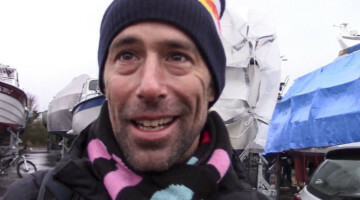 Page of course is the elder statesman of American cyclocross and is no stranger to the World Championships. And Krughoff and Livermon are additions that enhance the medal capability of the squad.